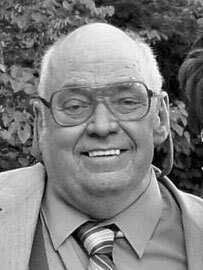 Dr. Don Robert Justesen at age 84, died peacefully at the Veterans Home in Warrensburg, MO., on Sunday, November 9th, 2014. Don suffered a number of years from complications of Alzheimer’s Disease. Don was surrounded by loving family members when he passed away. Don was born on March 8, 1930, in Salt Lake City, Utah. He is survived by his wife, Patricia, of Overland Park, KS; children, Rick Justesen, Joni Gosselin, Tracy Winsor and Tony Justesen; plus nine grandchildren. Don was a past-president of BEMS, and served as the editor-in-chief of the Bioelectromagnetics Journal. Don’s resume lists many academic appointments, professional activities and training, research activities and publications. The list is too extensive to present here. Among his accomplishments, Don was a professor at both the University of Missouri at Kansas City and the University of Kansas, School of Medicine. Don was an aviation electronics technician in the U.S. Navy and worked as a television repairman for a year after he was honorably discharged. Don went on to obtain a B.A (’55), M.A. (’57) and Ph.D. (59). Don’s dissertation, at the University of Utah, was on the behavioral effects of intense microwave radiation. Don had a gifted intellect (Mensa member) and from his Navy training, his academic achievements and broad knowledge he developed the ability to work across disciplines and to communicate with a wide range of professionals from physicians to engineers. Don was held in high esteem for not only his research activities but also for his ability to interact with his colleagues with good humor, quick wit, and his generous and kind nature. Don was also greatly admired for his editing skills. He helped many of his colleagues hone their papers. He was very adept at helping authors for whom English is a second language. Don also was very active behind the scenes giving advice and discussing issues. A perusal of the many published works by Don reveals that many were in association with students and young researchers. Don was a respected and well-loved teacher. Some of the students and researchers he helped went on to have productive careers and become leaders of BEMS. Don, who was affectionately known as Justy, will be greatly missed as a husband, father, friend, scientist, leader, teacher and editor. Justy will be missed by all those he touched personally and professionally.